Residents in five wine-producing areas in the North Bay view the wine industry in highly positive terms, according to a new study by Sonoma State University's Wine Business Institute. The preliminary results come from a study designed to examine Californians' perceptions of the wine industry and its impact on quality of life. The survey was conducted as part of ongoing research to establish baseline data that informs industry, communities and future policy decisions in the state of California. "This study says that Californians value the business of wine, not only for economic reasons but because it enriches their lives in other ways," says William Silver, dean of the School of Business and Economics at Sonoma State. "As the leader in wine business research and education, examining such issues and sharing the results is a key part of our mission. This study contributes to that ongoing effort and speaks to the importance of preparing wine business professionals to take leadership roles in a dynamic and evolving industry." Sonoma State political science professors David McCuan and Richard Hertz conducted the research, consisting of an online survey of closed and open-ended questions completed by 520 individuals across Lake, Napa, San Luis Obispo, Santa Barbara and Sonoma counties. 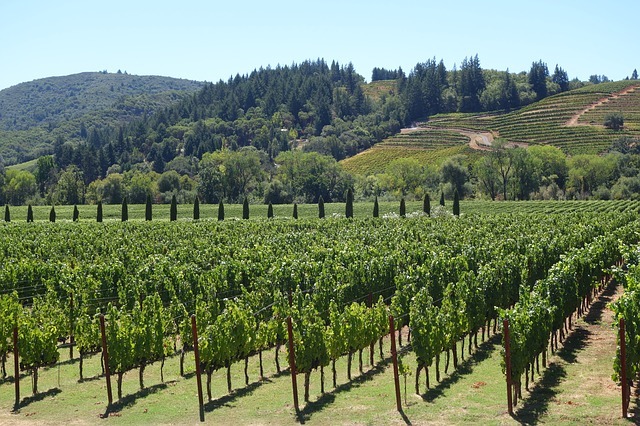 "This research indicates that majorities of residents credit the wine industry with providing substantial economic vitality and improving their quality of life, while also expressing concerns about specific tradeoffs, such as traffic or congestion," says McCuan. The full study can be viewed here. Sonoma State University will further establish itself as an important player in the future of California's wine business industry when it hosts a joint hearing of the California Senate and Assembly Select Committees on Wine on Tuesday, Nov. 3, 2-4:30 p.m. in the Student Center Ballroom. Residents of the North Bay’s five wine-producing counties hold mostly positive views of how wine businesses are impacting their quality of life, according to the findings of a new study by Sonoma State University researchers.